If your child is 2, 3 or 4 years old, you may be wondering how to choose a preschool. Preschool, the first step on your child's academic journey can serve as the basis for all future learning. Aside from starting to learn the basics like the alphabet and numbers, preschool teaches important social skills like how to be independent, how to share and how to follow directions. Once you decide your child is ready, choosing the right preschool can seem like a daunting process, but a lot of it is knowing what you want and what is best for your child. Generally geared at kids ages 3 and 4, some programs accept children as young as 2. 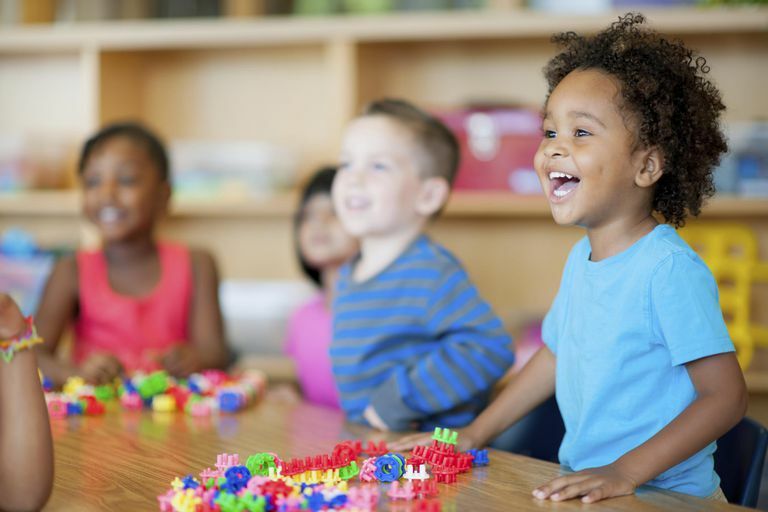 From academics to socialization, and transportation to how long the school day is, here's how to carefully weigh each aspect of preschool and make a decision that is good for you and your child. Many preschoolers start to take applications in January and may hold open houses even sooner, but you should check with each individual program. Start looking at schools the September before you want your child to start to attend — in many cases, this is when the child is 2. Check with the school to find out the details on age qualifications and other factors such as potty training. No matter what all the experts say, you are your child's biggest advocate and the best judge of what type of environment he'll do best in. Think about your child's personality. Is he shy? Does she make friends quickly? What do you want from your child's preschool? Are you looking for a rigorous academic program or something more socially-based? There are a lot of different options out there. It's up to you to weed through them all and determine the best fit. So where do you start? Ask around. Anyone you know with kids is a good person to query, whether you know them from work, the neighborhood, playgroup or the library. In particular, focus on the folks who have kids close in age to yours and whose kids have similar personalities. You may even want to have a chat with your pediatrician about what she thinks, especially if your child has some underlying medical issues. You may think you know the credo behind the different options — Montessori schools are known for fostering independence, Waldorf schools for their creativity, the High/Scope method sets personal goals for kids, Bank Street focuses on child-centered education and the Reggio Emilia approach follows a child's natural development — and for the most part they fit, but remember that each individual school sets their own tone and has their own method. So do your research. You can also find programs run through churches and temples where religion is part of the everyday curriculum. Other options include cooperative programs run by parents, programs affiliated with community groups such as the YMCA and state-run programs that are often free for all residents or low-income families. You can also explore programs run by companies — there are many "stand-alone" programs that can be found in many towns as well as schools run by daycare centers. The possibilities are nearly endless. To meet a child's individual needs, you want to find a school that offers small class sizes and low child-teacher ratios. A good guideline is one adult for every seven 2 1/2- to 3-year-olds or ten 3- to 5-year-olds with no more than 14 students in a room for 2 1/2- to 3-year-olds and 20 for 3- to 5-year-olds. The classroom should have lots of toys and other play items that are clean, safe and in easy reach of little people. If there is an outside play space, make sure it is fenced in and ask if the staff is trained in first aid. How will your child get to school? Will she ride a bus or will you pick her up and drop her off? How far away is the school from your home? These may seem like secondary concerns, but they are very important. If it takes a long time to get to school, your child may be too excited by the time they get there. At the same time, if preschool also functions as daycare for your child, a long car ride may serve as an important quality time for your family. A preschool close to where you live may make it easier for your child to foster the friendships he makes in school, thanks to playdates and party invitations. Believe it or not, preschool can be work for many kids, especially for those who have never been in a formal program away from home. Many preschool programs are for a half day or a few hours and with good reason — after even a short amount of time many children, especially younger preschoolers — are ready for a break and need some quiet time. Some preschools do offer extended hours. Ask about all the available options and decide which one will work best for your child. If you are unhappy with the option you have chosen or if your circumstances have changed, chances are you can always switch. At some point, doing a site visit to all of your potential choices is necessary. (If a school does not allow you to come for a visit, cross it off your list.) Call ahead to schedule a mutually convenient time so you'll be able to meet with either the school principal, director, or a staff member to talk, do a preschool interview and take a tour of the facilities. You may also want to ask if you can observe a classroom in action. If you are permitted to do so, don't approach the teacher or children during the lessons and try to stay for at least a half hour so you can get a real feel for how the class runs. After you've done a visit on your own, and once you've narrowed down your choices, find out if it's possible to bring your child to the school to see what he thinks. Most schools will welcome the opportunity to meet potential students and a visit will also help your child start to understand what preschool is.